If you have never considered wining, then this article may interest you to start vinting on premise, that is tho say create your own quality wines at a U-Vint establishment. And as you become seasoned you may even consider vinting your custom wines at home. Wining is a lifestyle and can be not only a very interesting hobby but also a life long passion! Why Make Wine On Premise? This is an easy introduction to winemaking and is no risk to you as to the quality of the finished product is guaranteed. It is a great way to learn about different regional styles, unique blends and varietals (single grape-types). The wine kit industry has improved immensely in the last decade regarding quality, variety and technology. Now fresh juices have a very serious run for their money! Yes there can be a substantial cost savings but the main purpose of wine making for The Winer is to vint quality wines that can be competitive with commercially available products. There is the pride and satisfaction of announcing to your appreciative audience that this wine is your own creation! Select your vintner as you would any professional service. How much wining experience and product knowledge does the vintner have? Has the vintner competed in any international wine competitions? What wine making techniques are utilized? What is the quality and variety of the raw materials. And this includes the quality of the water (especially if you are reconstituting a kit wine). The appearance of the winery: is it clean, organized and well stocked? Are you offered a winery tour? 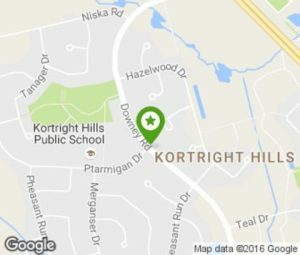 Are the staff friendly, informative and helpful? These are some of the criteria to be considered for a quality result: your finished wine. Wine-making is not instant gratification! Plan a wine strategy and build a wine portfolio that addresses special occasions and food experiences. The required time for maturation of your wines is one of the most important assets to a conscientious wine maker. Wine-making is a fun and sociable event. It’s a never ending learning experience and you can travel the world at your kitchen table with your friends and family. Salute! So develop your passion and become a vintner that loves…the fine art of wining! All our red wines are vinted with winery grade “skins on”. So now you can enjoy commercial quality velvety Merlots & Valpolicellas, elegant Syrahs, blockbuster Cabernet Sauvignons, spicy Zinfandels, rich Malbecs and an absolutely intense and powerful Armarone style wine! Because these varietal juices are “vinted on the skins”, extra extraction of aromatics, flavour, colour and body are captured during the fermentation stage. The finished wines show a character and complexity never before possible from a kit! Truly a quality breakthrough! These extraordinary juices are a must for the wine lover who appreciates wines worthy of aging. The Winer can even further enhance complexity & tannin structure by aging in our French oak barrique. So come on in and chat with The Winer & Liz at The Towne Winer and learn more about how good – and how inexpensive – these commercial-quality wines can be! 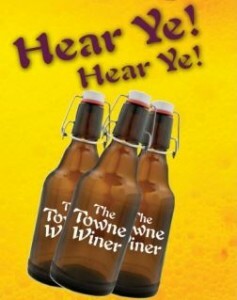 Towne Winer Selection: These easy drinking wines mature quickly and are enjoyable when young. Selection is the industry benchmark of the industry. 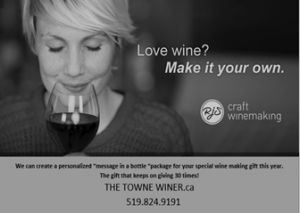 Towne Winer Premium Wines: Varietal specific wines sourced from respected old & new world wine regions – age worthy to elegance. Reds are vinted by the “ripasso “ method. Towne Winer Showcase Wines: Varietal specific and region specific wines are vinted with “virgin” grape skins on and contain our best quality juices/musts. The pinnacle of quality wine-making! Cellaring will reward your patience! Towne Winer Showcase Reserve Wines: Our showcase reserve wines are further enhanced by long term aging in our finest French oak barriques – our ultimate expression of complexity, flavours, aromatics, body, balance, structure and longevity. Specialty Wines, Fruit Wines, Sangria and Roses: The Winer can help you create speciality wines of intense flavours and aromas like port, sherry and ice wine styles to serve your appreciative guests at dessert time. Roses are vinted in either dry or off dry styles. Fruit wines are offered in 12 different fruit styles. The Winers will contact you to make a bottling appointment when your wine is ready to be released. IF your bottles are NOT clean, clean your bottles before coming to the store to bottle your wine. We have recommended for years to use Neodetersol Vetro which makes the glass sparkling bright and assists in removing stubborn labels easier. Otherwise fill your bottles with hot water and a tablespoon of bleach and let them soak overnight. Use a bottle blaster to remove the solution, rinse and dry upside down. This is usually sufficient to rid the bottles of any mold and bacteria that may have been living in the bottle since it was last used. TIP: Remove this cleaning job step forever by simply rinsing immediately your just emptied wine bottles TWICE and drain/dry upside down. Tip: store your dry bottles in fresh cardboard boxes to avoid stale odors. Water based labels will float away after soaking the bottles in warm water for just a few minutes. Removing commercial labels from store bought wine can be a challenge. Soak in Neodetersol Vetro overnight and remove with stainless steel wool pad. Self-adhesive (peel and stick) labels usually peel off much easier. Just add hot water and let the labels be in contact for a few minutes before peeling off. Also, polypropylene or clear “no label” look peel off easily too. Once you arrive at our winery sanitize your bottles on our bottle-sanitizing machine to remove oxygen and you’re ready to bottle your wine. We offer two types of closures for your bottles; agglomerated/composite and synthetic. 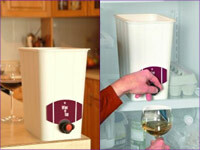 Each has its benefits which depend largely on how you choose to store your wine and when you plan to drink it. These are the most commonly used corks in our industry. Good for early consumption which are to be enjoyed within a year of bottling. 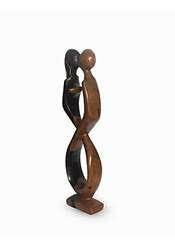 Keep the just bottled wine standing upright for two weeks, then turn it on its side to keep the corks continually moist. NomacorcTM 100% recyclable closures are commonly used by commercial winemakers to protect their valuable vintages. They are best for wines cellared up to five years. There is no need to store your wines horizontally, as these closures do not dry out nor shrink, absorb odors, crack or attract mold. This closure will allow your wine to develop naturally in the bottle if you age it for the full term. Due to their consistent and reliable preservation performance plus easy insertion and extraction, The Towne Winer has had their wines bottled under these excellent stoppers for almost 20 years. Decanting is simply to pour a wine out of its bottle before drinking it. As wine ages, certain compounds suspended in the wine will join together, eventually becoming heavy enough to settle at the bottom of the bottle. While -not harmful, it isn’t especially tasty either. When decanting an older bottle of red wine, don’t jostle it, and keep it in the same position in which it has been stored. This will keep the sediment at the bottom or side of the bottle and make it easier to pour the wine and leave the sediment behind. The majority of wines sold are thoroughly clarified and meant for immediate consumption with no need for decanting. 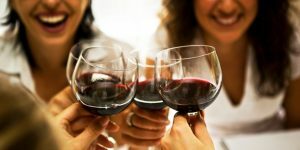 On the other hand, aerating or ‘letting it breathe’ benefits many young wines, red and white, that are tightly wound and uncooperative right out of the bottle. Think of it as gently waking your moody, snoring teenager. The process of “aeration” is the introduction of oxygen to the wine. As air is mixed with the wine, oxidation and evaporation start to occur. As this happens volatile compounds responsible for aromas (hence, taste!) open up, the sensation of alcohol dissipates, and tannins soften. This can be important for improving the taste of young, tannic wines whose components have not yet fully integrated. The process of transferring the wine from bottle to decanter in itself aerates the wine, much the same as pouring your wine into a large wine glass and then swirling. However the decanter is a more efficient aerating tool, allowing a much greater surface area for air/wine interaction, which speeds up aeration. If the wine needs it, you can aerate further by gently swirling the decanter (letting the decanter sit in between swirls) or using an aerating device as you pour into the decanter. Letting wine sit in the decanter or glass is also called letting it “breathe,” allowing for further oxidation and evaporation. Newer models of aerators include filters to catch any unwanted sediment. The Towne Winer recommends TRIPLE aerations for younger wines. That is to say use a hand help aerator to aerate into you decanter. 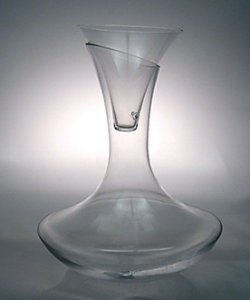 Then, aerate again from your decanter through the aerator again to your wine glass. This will reduce sulphur dioxide by 50% and visually you can see the dissolved carbon dioxide being released rapidly in each step. Eureka, smoother and more open wine! How long do you let a wine “breathe” in a decanter before enjoying? For younger reds, experiment with allowing at least an hour or two of aeration based on your preferences. Generally speaking, the more tannic a wine is, the longer you’ll want to leave the wine in the decanter. For older more nuanced reds, prepare to enjoy the wine within an hour of decanting, or sooner. As with any wine experience let your palate be your guide, your tastes will tell you what you prefer! The Towne Winer has the capability of providing restaurants and banquet halls with a dependable supply of high quality, lower cost wines with the potential of increasing your margins confidentially, no internal taxation and without increasing prices charged to your customers! Without limiting the range of wines that you offer, we provide an extensive line of the most popular styles – each of an exceptionally high quality – from which you will choose the core products that best suit your restaurant. These wine juices and musts are sourced from respected major wine growing regions around the world plus B.C & Ontario, which are subsequently vinted, bottled, labeled and/or “on tap” under your direct control. All wine produced under the Wine Pub Endorsement must be manufactured on the premises to which your license applies. Wine produced under the Wine Pub Endorsement may only be sold, served, or consumed on the premises to which your license applies. The AGCO requires that an independent laboratory on an annual basis test a finished wine from each concentrate or juice being used in the fermentation process.